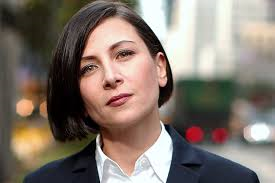 …Donna Tartt is back in style with ”The Goldfinch”. Contemporary American author born in Mississippi in 1963 and educated at Bennington College together with amongst others Brett Easton Ellis. Her debut novel “The secret history” was published in 1992 and became an almost instant bestseller. 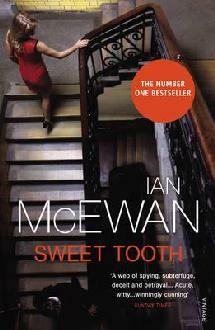 Described as a murder story in reverse, it was in many ways an original debut that I, contrary to almost universal acclaim, found to be well written but not extremely engaging. “The little friend” followed in 2002, and despite having its moments felt a bit unfocused. Again dealing with murder going unpunished, its storyline often felt unbelievable and unnecessarily sprawling. Although many years has passed since reading it, I seem to remember having a hard time shaking the feeling that the book had a little too much of teenage crime mystery in it for its own good. If you´re interested in the development of her particular style and themes, this wonderful article from Harper´s Magazine might be a good place to start. After yet a decade of silence, “The Goldfinch” turned up in 2013, and despite Pulitzer Prize and all went largely unnoticed by me until I accidentally happened to see it at the book store at Stockholm Central Station, in search of entertainment for a boring train journey. Quite a hefty tome, with its 700+ pages, it´s Donna Tartt´s most voluminous work so far. The opening pages with the protagonist Theo Decker holed up in a hotel room in Amsterdam, anxiously scanning Dutch newspapers for mention of some for us yet unknown events involving bloody murder, sets the tone. A beginning not that unfamiliar to her two previous novels, managing to grab your attention and pique your curiosity of whatever could have led up to this. The book rapidly leaps back in time to a 13 year old Theo living in New York with his mother, abandoned by the unreliable alcoholic father/husband. A series of coincidences leads them into the Metropolitan Museum of Art, where a terrorist bomb attack kills Theo´s mother along with several other people. Theo survives and experiences some life-changing moments when he before the explosion sees the girl Pippa, and after the blast shares the dying moments of her caretaker Welty, who gives him a ring and an address to a New York antique shop and asks him to take one of the museum paintings with him, which he does. 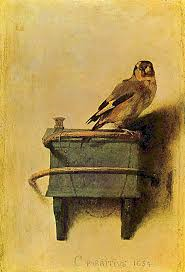 This is the titular “The Goldfinch”, painted by Carel Fabritius in 1654, and the fact that Fabritius himself died in an explosion of a gunpowder magazine in his hometown of Delft the same year sort of ties it to the events of the novel. Grief-stricken and alone in the world Theo ends up at the home of the Barbours, the socialite family of school friend Andy, in what seems to be a temporary arrangement. Following the dying words of Welty in the museum, Theo goes to the antique shop and presents the ring given to him to the proprietor – a furniture restoration expert called Hobie. The two become friends and Theo gets to meet the girl Pippa again, who apart from recovering from serious injuries from the blast also like Theo suffers from post-traumatic stress syndrome. This meeting sets off a life-long romantic obsession on Theo´s part, which infuses the story throughout its course. The stay at the Barbours is swiftly brought to an end when Theo´s father comes along, sweeping the boy with him to his dreary Las Vegas home where his alcoholism has been traded for compulsive gambling and pills. Theo is more or less in limbo, with the painting as his only comfort, until he meets the energetic Boris, neglected son of a Russian mining engineer living a nomadic life with brief stops in remote places all around the globe. Sharing a camaraderie fuelled by vodka, drugs and shoplifting they become inseparable until unforeseen events makes Theo flee back to New York. Appearing at the doorstep of Hobie, Theo is taken under his wing and finds a place taking care of the business part of the antique store. Opiate addiction and ill-advised shady dealings together with a reunion with Boris eventually leads to the trip to Amsterdam, where we found him at the beginning of the novel. Much drama follows, of which I avoiding further spoilers will say nothing. Let me be clear about this at once, I really like this book. Without a doubt this is Donna Tartt´s most accomplished and mature work. The vivid and exact prose filled with keen observations and careful characterization. The rich storyline with echoes of both “Oliver Twist” and “Great Expectations”. The individual pacing of the different acts of the novel. The philosophical monologue at the end. The perhaps useless but still engaging and interesting forays into the art of furniture restoration and Dutch 17th century painting. This is great writing. Two of the book´s difficult parts are handled very well by the author. Firstly portraying the grief and dislocation felt by the orphaned Theo as he shuffles from the indifferent hands of Social Services to the slightly cold welcome of the Barbours, and secondly the adolescent maelstrom shared by Theo and Boris, growing up practically without any adult supervision and only saved by that special type of male closeness that you probably only experience in your teens. Definitely a book you should read and well worth the time spent. Let´s just hope we won´t have to wait another ten years for the next one. 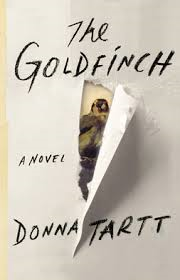 This entry was posted in Literature and tagged Donna Tartt, The Goldfinch on May 18, 2014 by danolofohman. … about readme/reamde – Neal Stephenson seems to be in the grip of graphomania. My first contact with the fiction of Neal Stephenson was with his post-cyberpunk drama “Snow Crash”. In many ways a pleasant read for fans of William Gibson, while still adding a new distinctive voice to the genre. 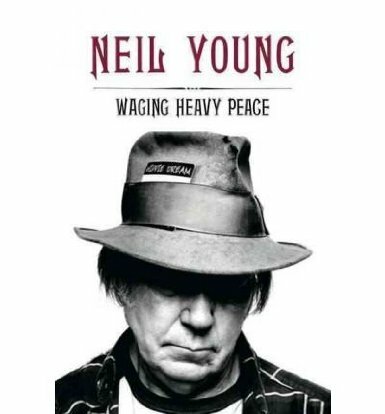 Despite somewhat hazy memories (after all I read it in the early nineties), I recall it exploring several interesting ideas, the pizza delivery guys gone crazy not being one of them. Earlier attempts “The big U” and “Zodiac” were unremarkable by today´s standards and not enjoyed by many except die-hard completists. 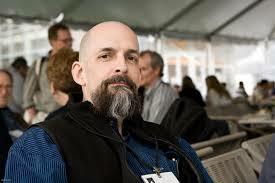 For me personally, the feeling that Neal Stephenson mattered came with his next novel “The Diamond Age”. Even though published in 1995 it exhibited a visionary streak that could surprise you even today, with the depictions of nanotechnology, matter compilers and cybernetics combined with strange and hidden subcultures. I still remember this book as both entertaining and esoteric. “Cryptonomicon” published in 1999 dealt with cryptography, code breaking and Nazi gold by way of Alan Turing and modern day data havens. In essence an intellectual suspense story with a backdrop of Bletchley Park Military Intelligence. Spanning from WW II to the present, Western Europe to Asia and treatise on cryptography to modern day suspense story, it´s an interesting ride that never becomes boring. The story somehow manages to balance intellect and entertainment in a way that makes you rush forward through the many pages of this fairly thick volume. His next work, “The Baroque Cycle”, was published in 2003/2004, and widened both the scope and the word-count of his oeuvre considerably. 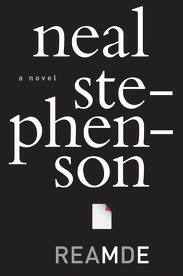 Actually presented as a series of 8 novels published in 3 volumes, Stephenson himself refused to call it a trilogy. The books are a wonderful mix of historical fiction and science fiction, with a blend of fictional and historical characters and events. The mix of styles (very often bordering on pastiche) could be off-putting to the serious reader, but might just as well be seen as enriching the work. Characters from 17th and 18th century Europe like scientists Newton, Leibniz, Hooke and Huygens rub shoulders with various Kings and Dukes of the time, in a sprawling story of political intrigue and the birth of both Natural Science and the Royal Mint. This is without a doubt the endeavor of a madman, trying to incorporate an impossible amount of real history, fictionalized period drama and philosophy of science into a few thousand pages. It´s not difficult to see how this work could be criticized for lack of focus and its mix of the high and the low, but I can´t help to admire the audacity of what it´s aspiring to do. After dealing with “The Baroque Cycle”, which must have been a pretty extreme effort, it´s not hard to understand that the next book from Stephenson didn´t arrive until four years later. “Anathem” is again a science fiction story, concerned with the many-worlds interpretation of quantum mechanics and different philosophical ideas of reality. While owning a copy of this book, I must confess to not having read it yet. Maybe it´s just me, but I found the beginning of “Anathem” so uninviting and just plain boring that I quickly put it away for later reading. 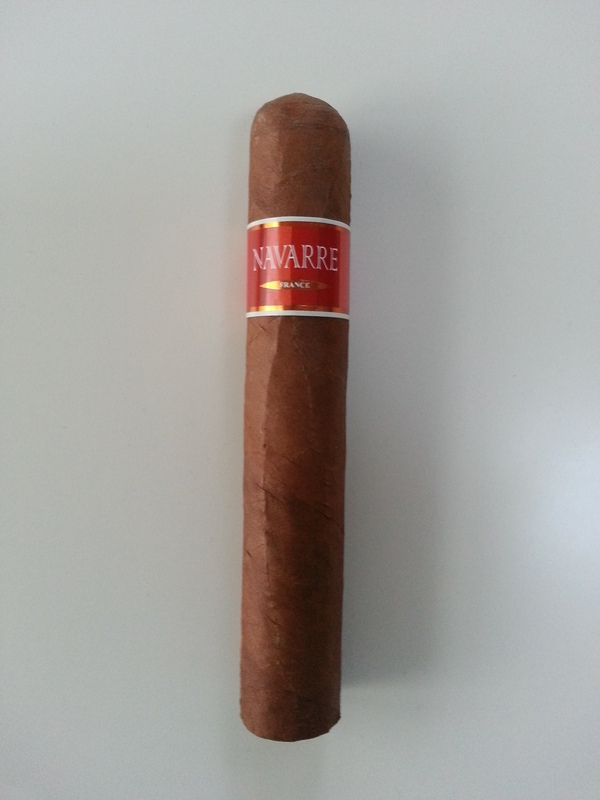 Sorry to say, that later hasn´t yet arrived, even though I´m sure that I will sometime get around to it. This leads us to “Reamde”, his latest novel published in 2011. Here we have a 1000+ pages long suspense story, chronicling the adventures of multi-millionaire former marijuana smuggler gone online role-playing game tycoon Richard Forthrast, as he´s desperately trying to save his niece from the Russian mafia and Islamic terrorists. A real roller-coaster of a story taking us from continental North America to China and beyond, covering such topics as MMORPG´s, hacking and credit card theft, internet gaming gold mining and social networks, as well as organized crime, religious terrorism and the US Sovereign Citizen Movement. A lot could be said about Stephenson´s ability to tap into current concerns in an impressive way, but this is still more than anything an entertaining yarn probably destined for a future Hollywood makeover. Reading it is very often pleasurable, even though it´s impossible not to be irritated by its tendency towards longueurs. What should be a fast-paced suspense piece is often interrupted by page after page of detailed descriptions of milieu or events that could easily have been told in a few lines. This creates a weird effect of story-time either rushing forward or suddenly stopping in a bubble of suspended animation. If a character travels from point A to point B in a novel or a movie, you can choose to show the character departing and then arriving, or to show every turn of the wheel and every part of scenery passing through the window. It´s not like we don´t know where this is heading, but it takes us a long time getting there. The part of the novel that deals with T´Rain, the online game created by Richard Forthrast, tells you about one of the persons creating the underlying story of the game-world. Producing huge amounts of text he is suggested to suffer from graphomania, the obsessive/compulsive impulse to write. Somehow you wonder if this is not Stephenson trying out a little introspection. So, as “Reamde” goes, read it but feel free to skip a few pages when you feel like it. This entry was posted in Literature and tagged Neal Stephenson on March 16, 2014 by danolofohman.